At this moment, it’s Happy Hour somewhere in the world. At the charming L’Esplanade Hotel on the Caribbean island of Saint Martin, guests are so captivated by their colorful surroundings it seems that every minute is Happy Hour. 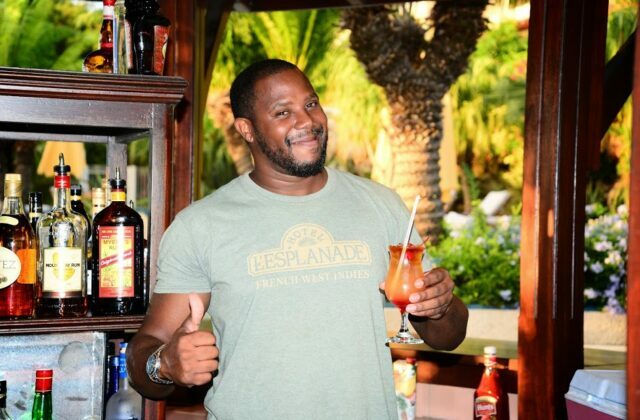 The ringleader of the Happy Hour movement at L’Esplanade is bartender Alain Richardson. Richardson has served up tropical cocktails and humorous banter at L’ Esplanade since 2005. Richardson is famous for asking his first time customers if they realize who was sitting on their bar stool just the night before. With a straight face he’ll whisper the name of the hottest tabloid celebrity. Reading the expression of the first timer, it’s obvious he or she is already under the spell of Richardson’s exotic drink called the Pain Killer. The vacationer can barely contain his or her glee after hearing Richardson’s confession. The admission seems privileged until the next L’Esplanade guest sits down at the bar. This time Richardson serves up a Rendezvous, a tall concoction made of vodka, Crème de Cocoa, a drizzle of Pastis liqueur, a squirt of lemon, and a kiss of Passion fruit. Richardson watches as the customer consumes half of her refreshing beverage. Richardson encourages the customer to lean closer. He asks if she knows who was sitting in her very chair last evening………. 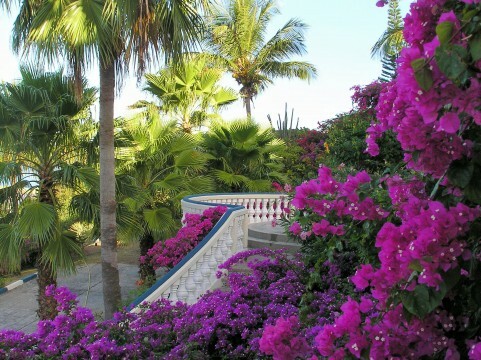 L’Esplanade is located in the famous Grand Case area of Saint Martin. 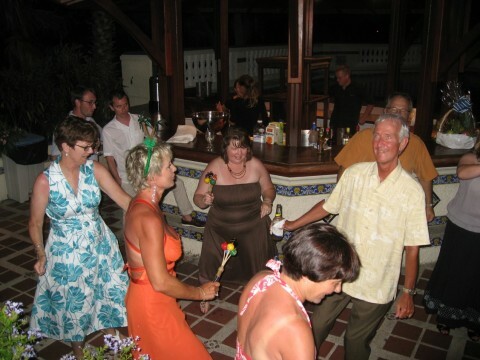 The northern edge of Saint Martin’s French side has an international dining reputation with two dozen restaurants situated between Grand Case Bay and Orient Bay. What really makes L’Esplanade special is its convenience to Grand Case and the hotel’s view overlooking the Caribbean Sea. L’Esplanade, owned by Kristin and Marc Petrelluzzi since 1992, has romantic one-of-a-kind of accommodations. 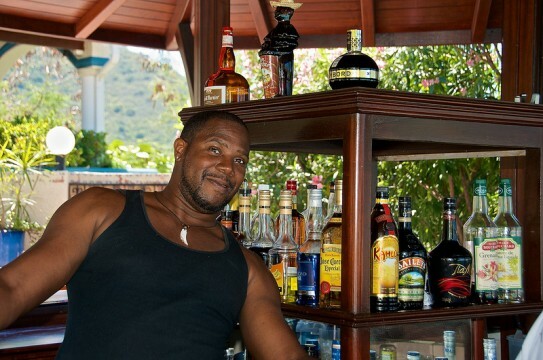 The hotel is also home to the Caribbean’s best comedian serving drinks at their open air bar. L’ Esplanade is a wonderful retreat for guests seeking a respite from the stress at home and a chance to relax with gorgeous Happy Hour surroundings. Alain! Great article! We will see you in Feb! !